Scored for full symphony orchestra, we release Patrick Doyle’s IMPRESSIONS OF AMERICA to celebrate the composer’s 60th birthday in April of 2013. 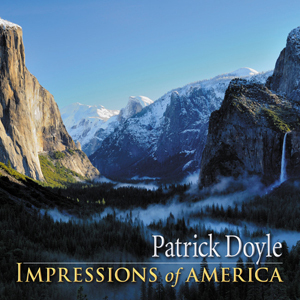 5/5 Now here is an example of following your own style bringing the world to your "Impressions Of America" as Patrick Doyle has done. Being a fan of his work for several years, Doyle never lets me... lets us down in this telling of his journey.